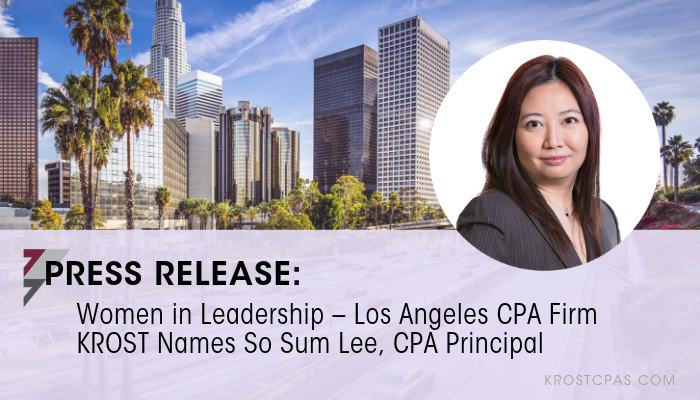 Los Angeles, California – February 7, 2019 – Los Angeles-based tax, accounting, and consulting firm, KROST, recently promoted So Sum Lee, CPA to Principal. So Sum, an industry veteran, who has 20 years of experience in tax and accounting, specializes in matters relating to real estate, restaurants, technology, entertainment and wholesale. So Sum joins seven other principals on KROST’s leadership team. Her primary responsibilities include supporting high net worth individuals and businesses providing services in the area of tax planning and compliance; estate, probate and trust tax matters; tax consulting; and more. She leads the firm’s Real Estate industry group that provides thought leadership and consulting specific to that niche. Additionally, So Sum serves as an associate council member of the Washington D.C. Real Estate Roundtable group, a non-profit organization focused on policy areas governing tax, capital and credit, environment and energy, and homeland security. So Sum was born and raised in Hong Kong. 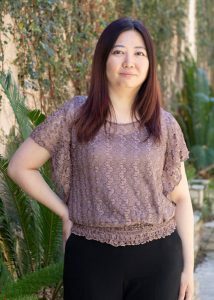 In recent years, she spent part of the year working remotely from China. She is fluent in both Cantonese and Mandarin. “As tax practice leader, I have counted on So Sum as my right hand for years. She has contributed to the growth and expansion of this practice through her in-depth knowledge and experience in complicated and unique tax matters. For the past several years, So Sum has successfully managed to split her time living between China and the U.S., all while taking excellent care of our clients, and providing us with a worldly perspective from across the globe. Our firm and our clients are lucky to have her dedicated support, and I feel especially excited looking toward the future, as it is bright with So Sum on our leadership team,” said Lou Guerrero, KROST Principal.